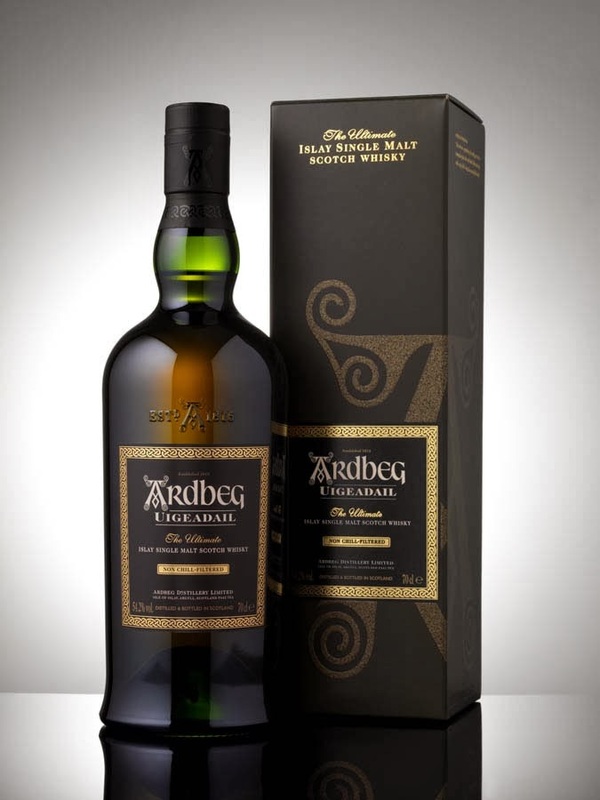 Ardbeg Uigeadail is an Islay whisky that packs a punch – releasing big coastal peat notes balanced by sweetness and rich dense vanillas and fruit. This is beautiful Islay whisky, with a sharpness that pierces the nostrils and ignite the palate into light flames. Highly recommended for people who enjoy peat and at near cask strength! There are big juicy vanilla notes that counteract that peat and the sharp medicinal notes. Nose : Powerful peat interlaced with luscious vanilla cake notes and lashings of medicinal notes (betadine) that seem to interact with a cherry sweetness as it carries shimmers of Dr Pepper mixed with chocolate rum cake, Snickers bar with caramel and mineral salts. The vanillas and chocolate notes soften the peat, but those medicinal notes sting the nostrils with nail varnish that is reduced only when a splash of water is added. Taste: Powerful on the palate, the peat comes rushing in with the burn of betadine smoothed by layers of chocolate, vanilla custard, sand and the sweet glow of sultana, golden syrup and sherry. Finish: With a vegetal and coastal finish, the sweetness gradually recedes and allows the peat, iodine and medicinal notes to shine with oak and the evaporating alcohol vapours.